Later today, the Fair Food Nation will appear at the doorstep of the plush downtown Manhattan offices of Trian Partners, the multi-billion dollar investing firm headed by famed “activist investor” Nelson Peltz. 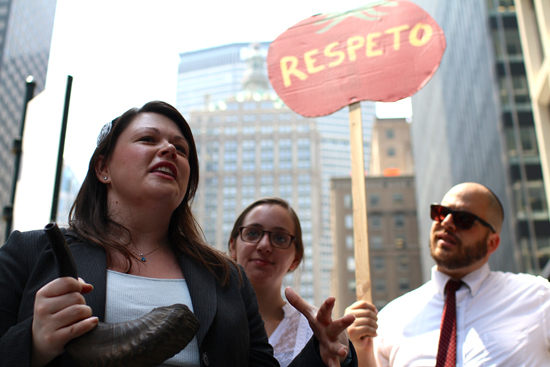 Why, exactly, are farmworkers and consumers protesting outside an investment firm? Because, beyond being the owner of one of the most expensive homes in America, Mr. Peltz is the Chairman of the Board of Wendy’s and his investment firm, Trian Partners, is Wendy’s largest shareholder. It’s reasonable to assume that there is no single individual in the world with more decision-making power when it comes to Wendy’s than Mr. Peltz. And so Fair Food activists will be marching on his offices in Manhattan today to demand that Mr. Peltz explain why the country’s fifth largest fast food company is still holding out against the Fair Food Program, still profiting from farmworker poverty, still refusing to do its part to end decades of labor abuses — from sexual violence to forced labor — in US agriculture. Wendy’s may think it can run from responsiblity, but the individuals that run the company have to answer for their decisions sooner or later, and today, it seems, is that time for Mr. Peltz. 2015 has been a busy year in the Wendy’s Campaign. 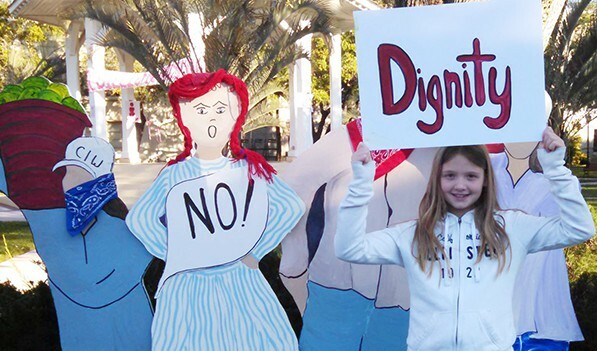 From the announcement of a national student boycott at the Parade and Concert for Fair Food last March, to a powerful presence both inside and outside the annual Wendy’s shareholder meeting in Dublin, Ohio last May, to a coordinated wave of actions by hundreds of students, people of faith, and community members across the country during the recent #SchoolingWendys and #UnmaskingWendys days of action – the pressure on the final fast food holdout has been mounting. 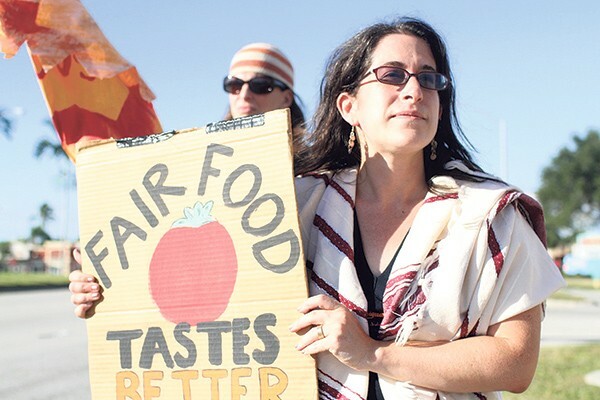 This month, our faithful friends at T’ruah: The Rabbinic Call for Human Rights are also making sure that the massive consumer support for Fair Food does not go unnoticed by those within Wendy’s that have the power to push the fast food giant in the direction of farmworker justice. In light of the continued stubborn refusal of Wendy’s leadership to sit down with consumers — much less with the farmworker women and men who harvest their tomatoes — Jewish leaders are turning up the pressure on Wendy’s Board Chairman, Nelson Peltz. Mr. Peltz — whose partner at Trian, Peter May, is the Vice Chairman of Wendy’s board — is no doubt a key power player within the fast food giant. Known for his aggressive style and his direct involvement in the operations of the companies in which he invests, Mr. Peltz certainly can’t run from his inaction on a pressing and highly public issue like Wendy’s participation in the Fair Food Program. 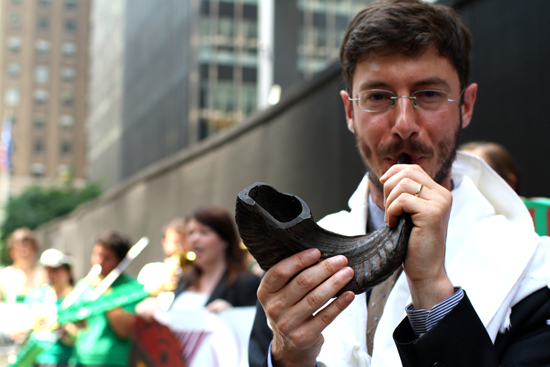 That’s why T’ruah flooded Mr. Peltz’s fax and email inbox with messages from nearly 200 religious leaders over the past two weeks, pointing to the Program’s unprecedented success as a proven solution to decades of farmworker poverty and exploitation and posing the simple question to both Mr. Peltz and Wendy’s: “If not now, when?” In those same messages, T’ruah called on Mr. Peltz to meet face-to-face with the CIW and to use his influence to finally bring Wendy’s to the table with the farmworkers in their supply chain. This afternoon, as CIW members from Immokalee lead what will surely be a colorful and lively march from the Wendy’s franchise on 3rd Ave and E 45th St. to Trian Partners, even if he once again runs, Mr. Peltz will not be able to hide from Wendy’s failure to support farmworkers’ human rights in the fields. With the demand for farmworker justice on his doorstep, will Mr. Peltz continue to turn his back on the drumbeat for justice from farmworkers and their supporters? Or will he finally recognize his responsibility and reverse Wendy’s course with regard to the Fair Food Program? Because, in the end, if Wendy’s doesn’t make the right call, consumers will. And when consumers decide, greed doesn’t get to win, dignity does.